On 29 March 2019, peacefully at Wairarapa Hospital. Aged 80 years. Dearly loved wife and soulmate of the late John. Loved mother and mother-in-law of John and Sharon, David and Kelly, Pip and George Murdoch. Loved Nan of Jason and Hamish Linton; Matthew and Hannah Murdoch; and Hunter. In lieu of flowers a donation to the Wairarapa Cancer Society, P.O. Box 121, Masterton 5840 would be appreciated and may be left in the church foyer. 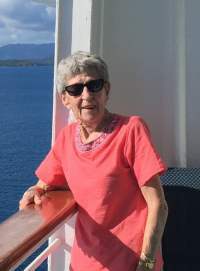 A service for Freda will be held in First Church, Jellicoe Street, Martinborough on Wednesday 3rd April 2019 at 11.00am followed by private cremation.